I come out of the bathroom after taking a shower at 5am and this is what I see. This guy's not allowed in bed. 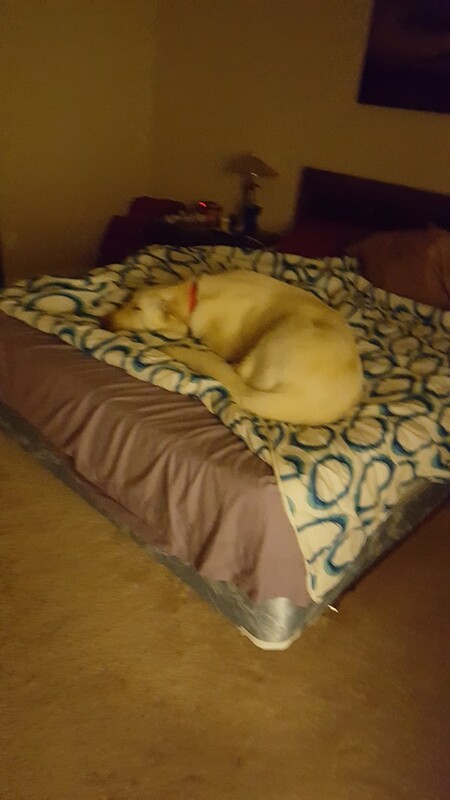 But I let him stay there until I have to leave for work. He's so spoiled.